Update: October 6 – Charlotte, North Carolina. Today, we wanted to update you about family who is currently in Poland finishing up their adoption. When adopting from Poland, one of the final steps is to appear before a judge. The judge will review the case and rule on it. In our case, the judge has approved the adoption and has granted custody to the new adoptive parents. Futhermore, he has also shortened the appealing period from 3 weeks to 2 weeks. That means that the family gets to come home 7 days sooner. We’re very blessed to see this family one huge step closer to coming home! We’re thankful to our representatives in Poland who helped arrange these important meetings with the Polish Central Authority and the judge. We’re thankful to all those who worked hard to see this family get to this point. However, most important of all, we’re thankful that God has been gracious enough to use those people for His plan of putting together another family through adoption. To Him be the glory for ever and ever! 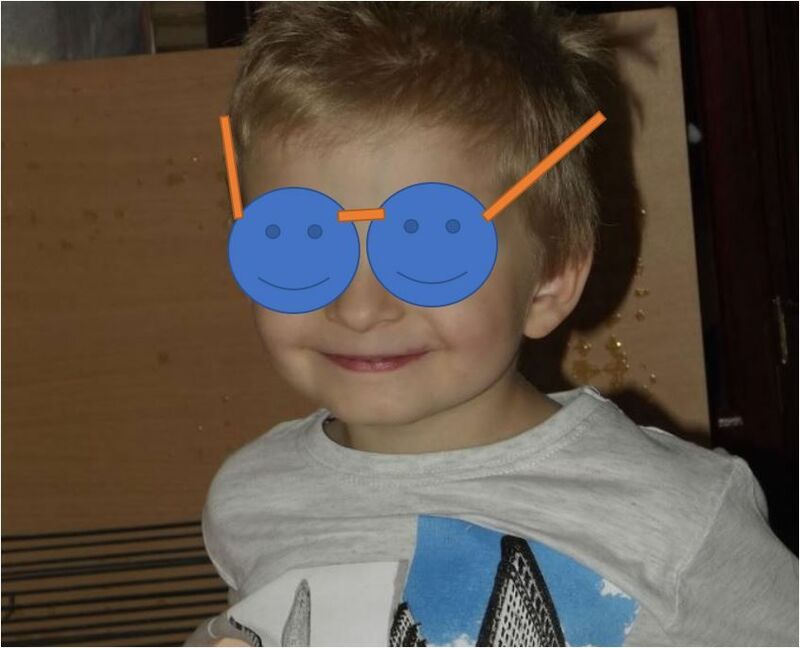 Here is a (private) picture of a little boy who is this much closer to leaving the orphanage. And leaving in style – by putting about 5,000 miles between himslef and the orphanage. September 8 – Charlotte, North Carolina. Today, we’re pleased to share some excting news about one of our Saint Mary’s families. They’ve safely arrived in Poland and will soon be meeting their son to begin their bonding process. 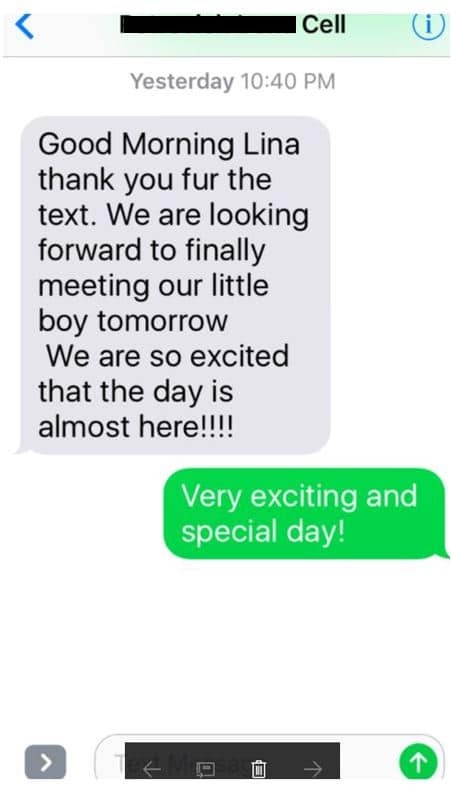 The text message pictured above shows the adoptive mom texting our president, Lina, and telling her how excited they’re to meet thier boy! So far, the update is that it is that they’ve arrived safely and will be meeting their boy soon. We too are very excited to witness a process that will result in one less Polish orphan in the world. To God be the glory for each child adopted. We will use this post to update you on their journey as they’re pursuin their Polish adoption to completion.